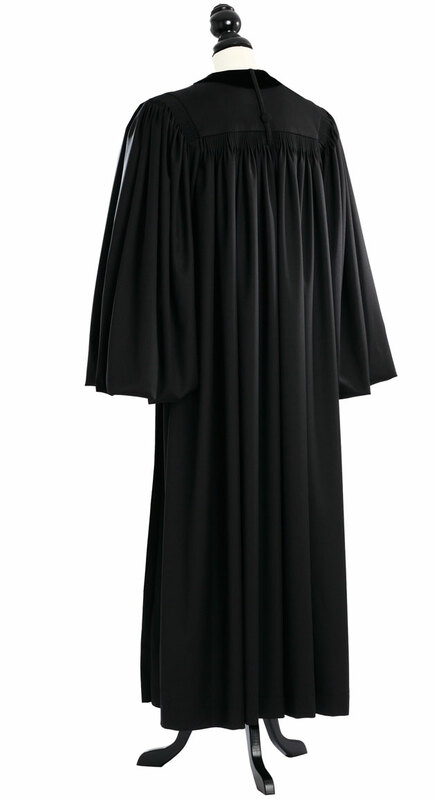 When purchasing a Front Velvet Geneva Clergy Robe, you should especially pay attention to the material quality and the material processing! 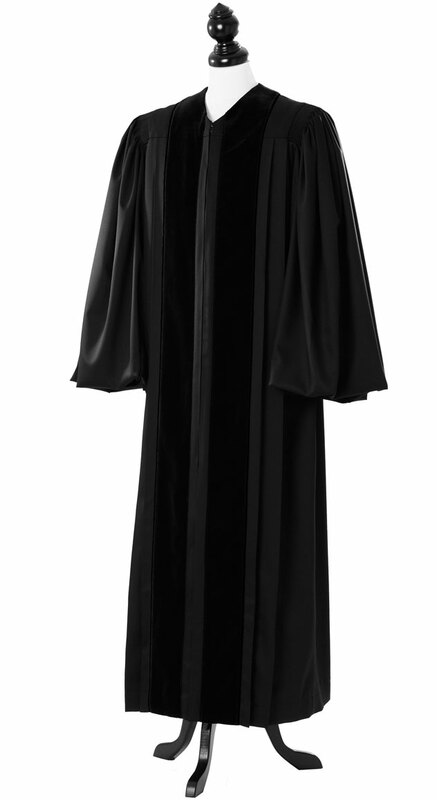 Our Front Velvet Geneva Clergy Robes correspond to the highest expectations of our customers due to the particularly precious raw materials we use, and lend the office bearer a stylish, elegant appearance. The PRIEST CLOTH collection of Loro Piana from 100% Wool Super 150 S fabrics at summerlike 220 g/m. This especially fine Merino worsted woolen yarn meets the highest requirements, this yarn has conditioned crease-resistant and extremely hard-wearing characteristics. It is extraordinary light, fine, luxurious, and soft to the touch, and it also falls very elegantly. highest expectations of our customers due to the particularly precious raw materials we use, and lend the office bearer a stylish, elegant appearance.